Neuschwanstein Castle (“Schloss Neuschwanstein” in German) is one of the world’s most famous castles. 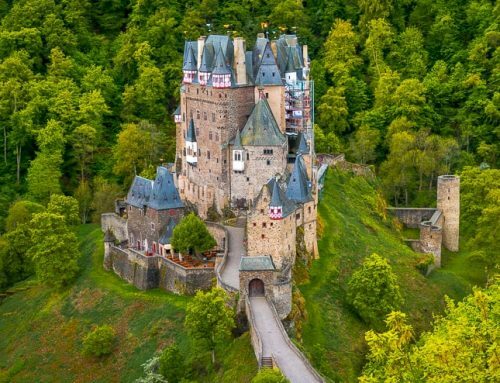 It’s also one of the most popular tourist attractions in all of Germany with approximately 1.3 million visitors annually. 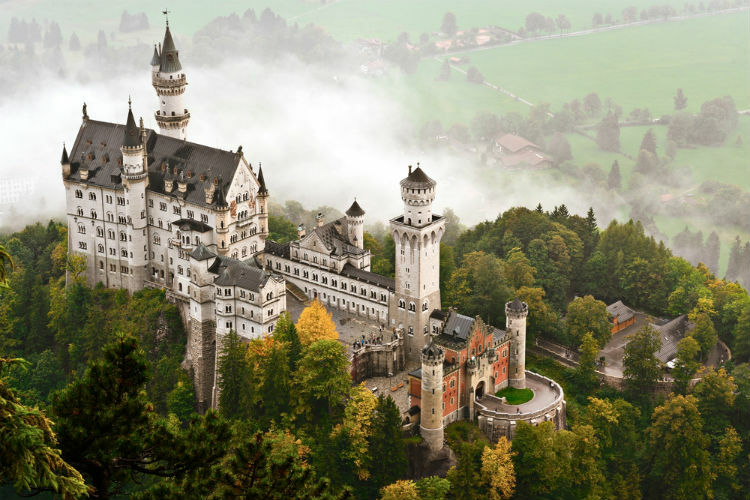 Neuschwanstein is a real-life Fairytale Castle, and it was a major inspiration for the Disney Castle. I have been here, and it’s definitely worth the visit. It’s just as majestic as the pictures, both on the outside and inside. Here’s a complete guide on how to get there + my best tips and more information before you visit. 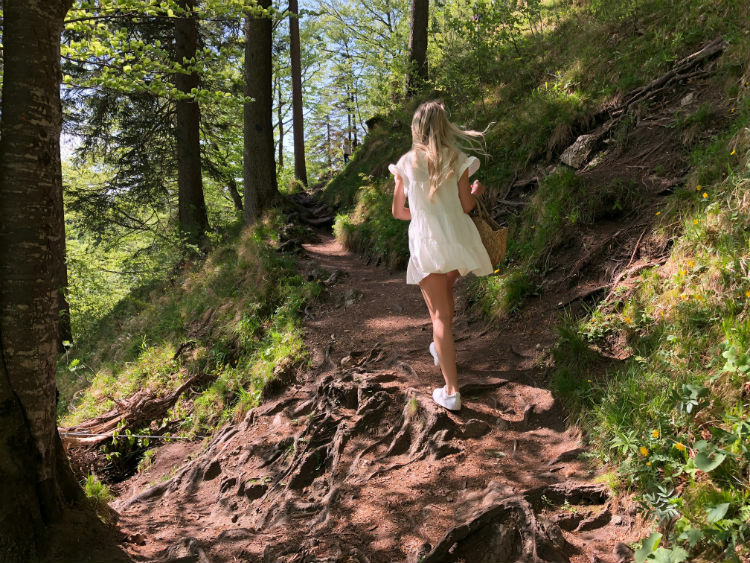 Few castles in the world are as majestic and dreamy as Neuschwanstein Castle, and if you like this type of attractions, I can highly recommend a visit. 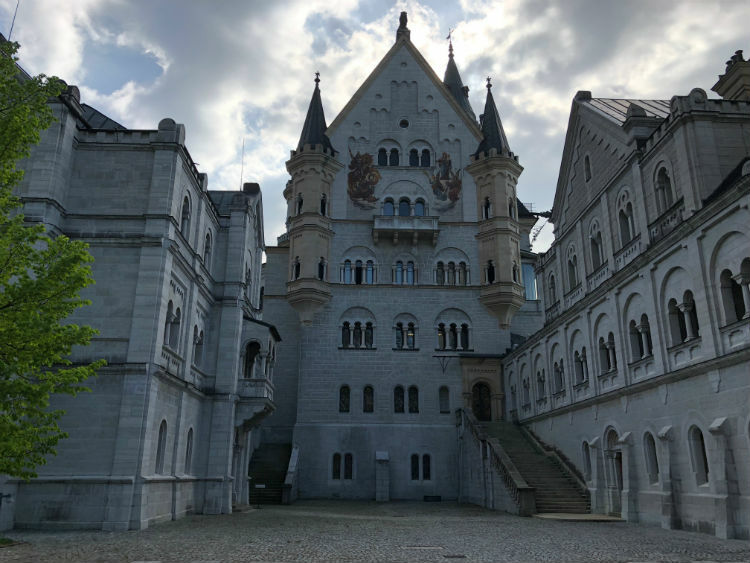 It’s just as spectacular on the inside and outside, and the story behind the Neuschwanstein Castle and King Ludwig II is quite fascinating too! 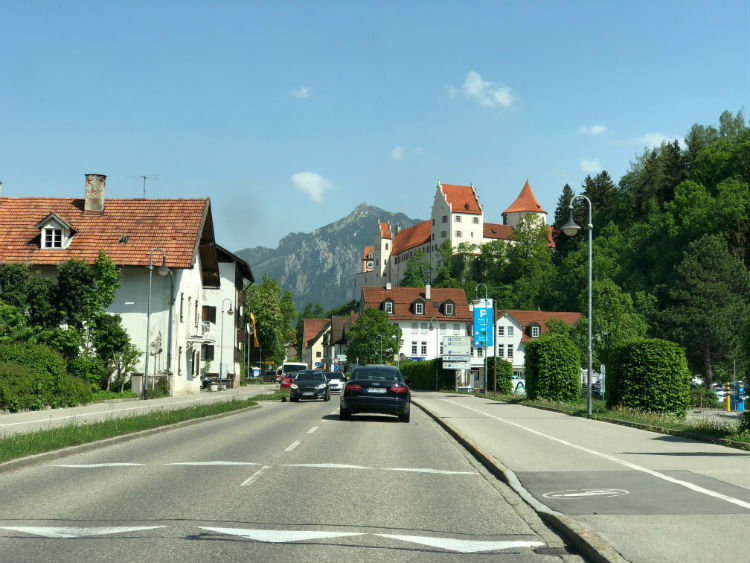 The most common way to get from Munich to Neuschwanstein is by car via the A7. It’s just a 2 hours drive, and can easily be done as a day trip if you rent a car. 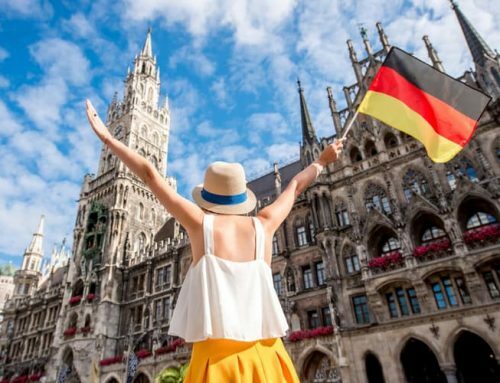 From Munich, it’s also possible to join a group tour or take the Flixbus (3 hours bus ride). Even though Innsbruck is in Austria, it’s actually closer to Neuschwanstein from Innsbruck than from Munich to Neuschwanstein Castle. You can drive here on your own in about 1 hour and 40 minutes. Just follow the A12 and later on the B179. You can also join a group tour or take the bus. The nearest train station is in Füssen, where you can take trains from Munich and several other German cities. 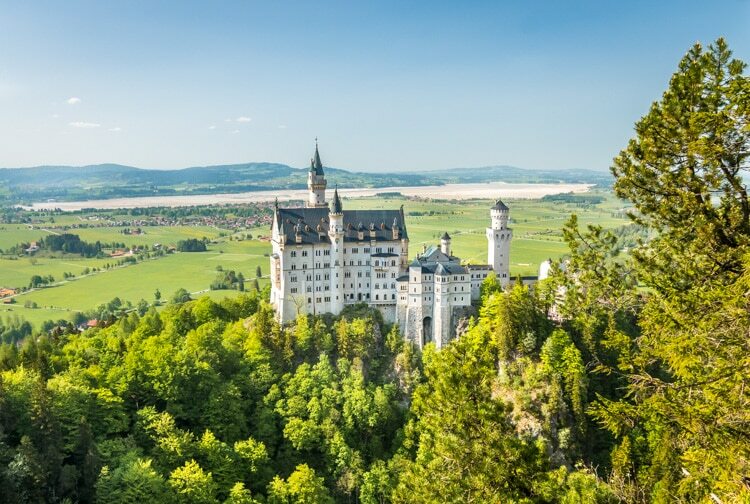 Tickets to Neuschwanstein Castle can only be reserved and bought before your arrival, or on the same day at the ticket office in the village of Hohenschwangau. During high-season it’s recommended to reserve your Neuschwanstein tickets in advance. In other times of the year, it’s often possible to buy tickets on the same day if you come early. Most hotels also offer to visit the ticket office for you the next day when the ticket office opens. 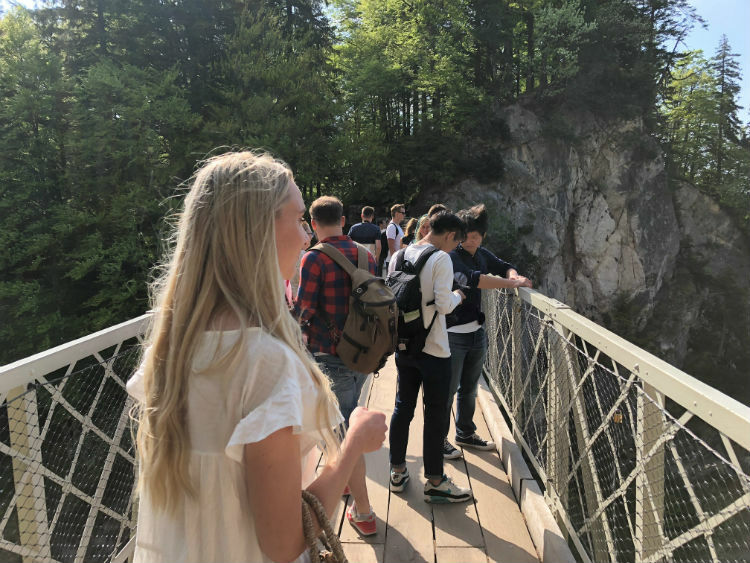 This bridge is where you will get the iconic view of Neuschwanstein Castle. Queen Mary’s Bridge is also known as “Marienbrücke”, which is the German name. The bridge is located about 15 minutes walking from Neuschwanstein. If you continue beyond the bridge and walk uphills on the walking trails, you’ll get to another viewpoint in about 10 minutes. From there you can escape most of the crowds and get some selfies and unique shots of the Neuschwanstein Castle. 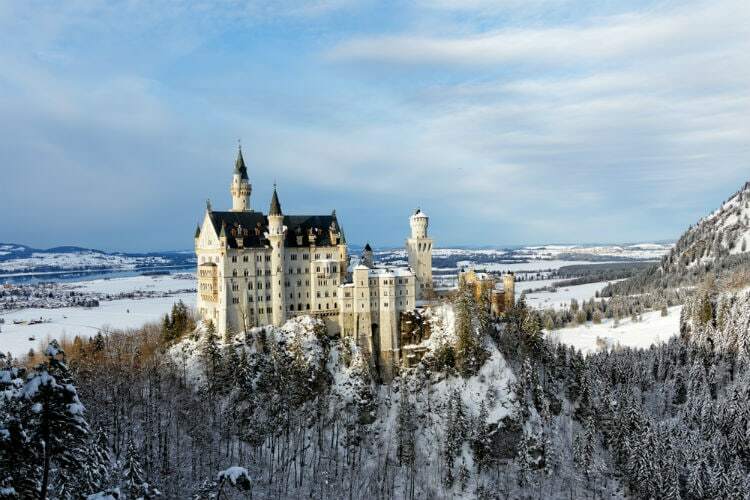 Neuschwanstein Castle is also known as the Fairytale castle or the real-life Disney Castle since it inspired Walt Disney when he made the Cinderella Castle. Neuschwanstein was built by King Ludwig II of Bavaria. It took 22 years to finish the castle. 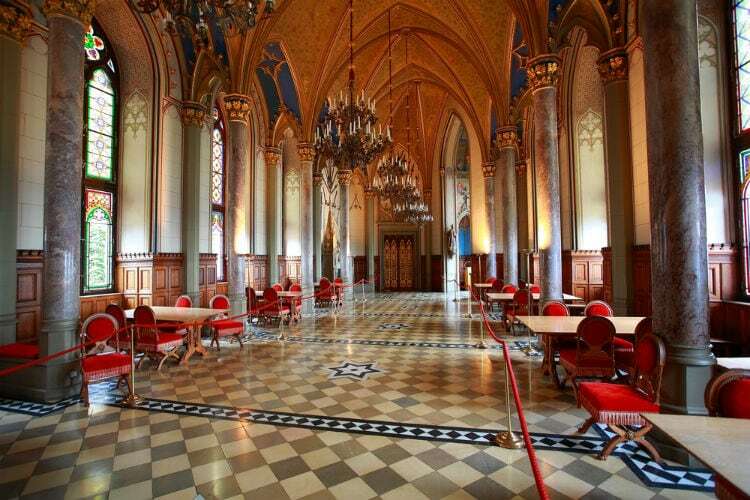 It’s a neo-romantic castle that was built at the end of the 1800s despite its medieval look. This was all a part of the plan of the Bavarian king who was very fond of fairy tales. The highest tower of Neuschwanstein measures just below 65 meters (213 feet). The castle’s name can literally be translated into “the new swan-stone castle”. It was originally named as the new Hohenschwangau Castle as the intent was to make a grand recreation of King Ludwig’s childhood place. The modern name is derived from one of the characters in Richard Wagner’s opera – The Swan Knight. However, the name wasn’t changed until after the King’s death. And in just a matter of weeks after his death, the castle opened up to the public and became one of the region’s most visited tourist attractions. Neuschwanstein Castle is a Bavarian castle, located at a hilltop above the village of Hohenschwangau, in the municipality of Schwangau in Southern Germany. 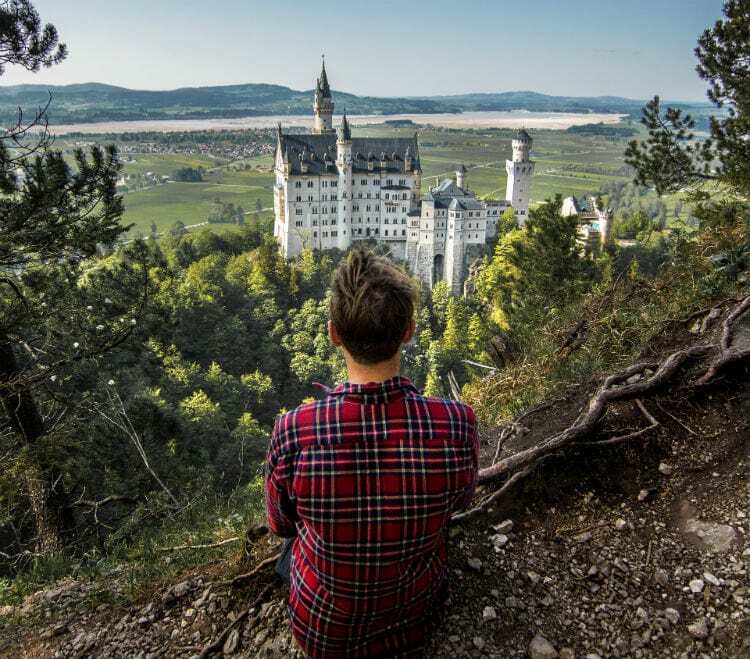 Königsticket: Visit both Neuschwanstein Castle and Hohenschwangau – 25 Euro. Visitors can choose from walking by foot uphills, taking the shuttle-bus for 2.60 euro roundtrip, or horse-carriage. The walk up to the castle takes about 30-40 minutes. It’s quite steep, but if you have decent fitness it shouldn’t be a problem. If you wish to get to the viewpoint of Queen Mary’s bridge, it’s another 10-15 minutes walk. The shuttle bus takes you to the parking space, and you’ll have to walk the last couple of hundred meters to the entrance. This is convenient if you’re a senior visitor or have a disability. The shuttle bus also goes up to the Queen Mary’s bridge. 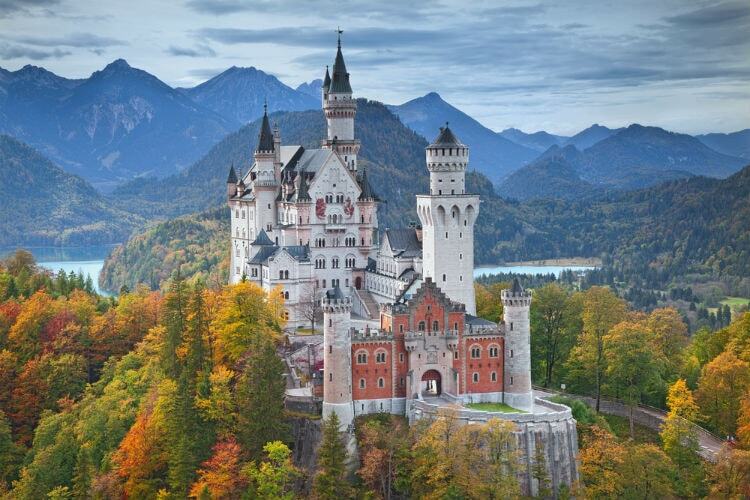 However, if you have a disability, it could be problematic to visit the Neuschwanstein Castle. Please don’t support this cruel way of transportation. The horses are dragging tourists all day long and walk uphills on asphalt. This way of transportation is not romantic at all, it’s animal cruelty. The only way to get inside the Neuschwanstein Castle is by joining one of the guided tours. Usually, I don’t really like guided tours, but this one was good and there’s no other option, so it’s the best solution available. 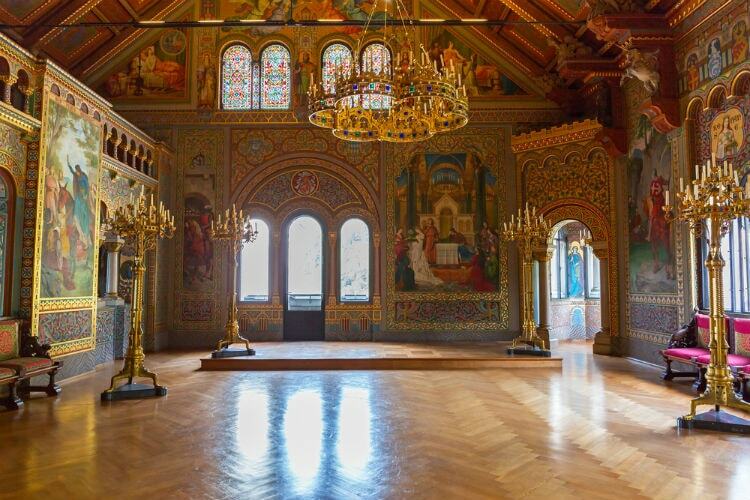 The interior is absolutely stunning, and everything you could possibly imagine and dream of when it comes to a royal castle. You won’t be disappointed! It’s quite sad though, that you can’t take photos inside the Neuschwanstein Castle. But maybe it’s for the best. Upon arrival, I had no expectations and was thrilled to see the interior with my own eyes. Below, you can see a few photos that have been licensed for usage. In the village of Hohenschwangau or nearby Füssen, there are several places to eat. But if you’re looking for restaurants near the Neuschwanstein Castle I suggest the Schlossrestaurant Neuschwanstein or the cafe inside the castle. There are several hotels nearby, but I recommend these two in particular since they give a great value for your money. King Ludwig II was definitely a peculiar character according to the stories. He was born in 1945 and was the son of Maximilian of Bayern and Maria of Preussen. He became king at the age of 18 and remained at the Bavarian throne for 22 years. He never got married, and he didn’t have any known mistresses. However, it is known from his diaries and letters that he had a desire towards other men. 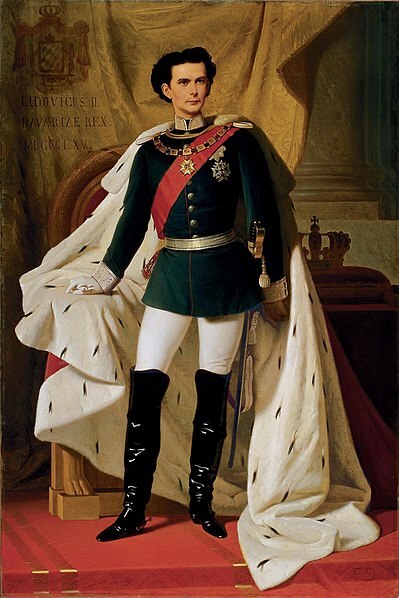 King Ludwig II was known for his social phobia and he often stayed away from the public in his last years. He was also known to be fond of the old fairytales and the operas of Richard Wagner. The walls of Neuschwanstein is filled with frescoes depicting the scenes from Wagner’s operas. 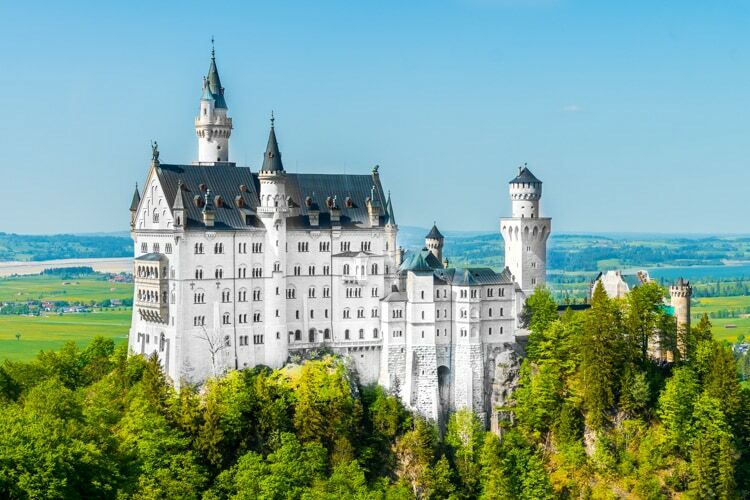 It is said that King Ludwig II took inspiration from several royal palaces and castles around the world when he ordered the building of Neuschwanstein Castle. In 1886, King Ludwig was overthrown from the throne and was declared mentally ill and therefore unfit to rule. 2 days later he was found dead in the lake. It has never been cleared if it was an accident or if he was murdered. The latter is more reasonable since the ministers actively sought his downfall. They accused King Ludwig of ruining the Bavarian finances with his extravagant and expensive castles. Truth to be told, the majority of the money was taken from his own fortune to finance his castles. 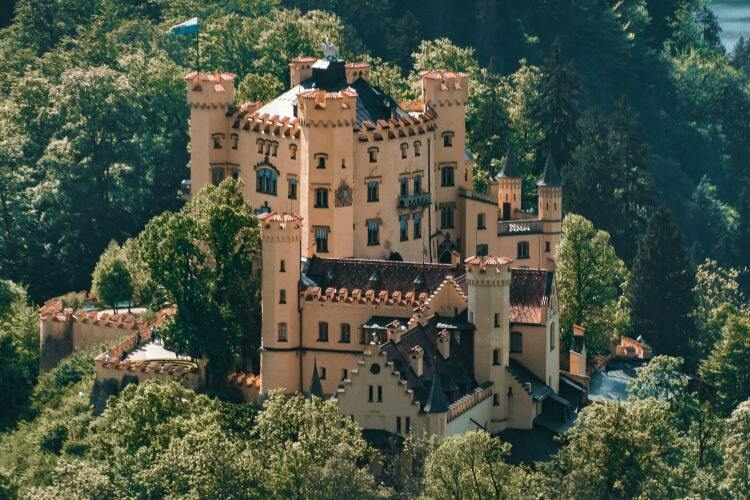 This is the original castle of Hohenschwangau, and it was here that King Ludwig II grew up and spent his childhood. It’s possible to walk inside the Hohenschwangau Castle on a guided tour. If you buy the Königsticket, you get entrance to both castles for 25 euro. 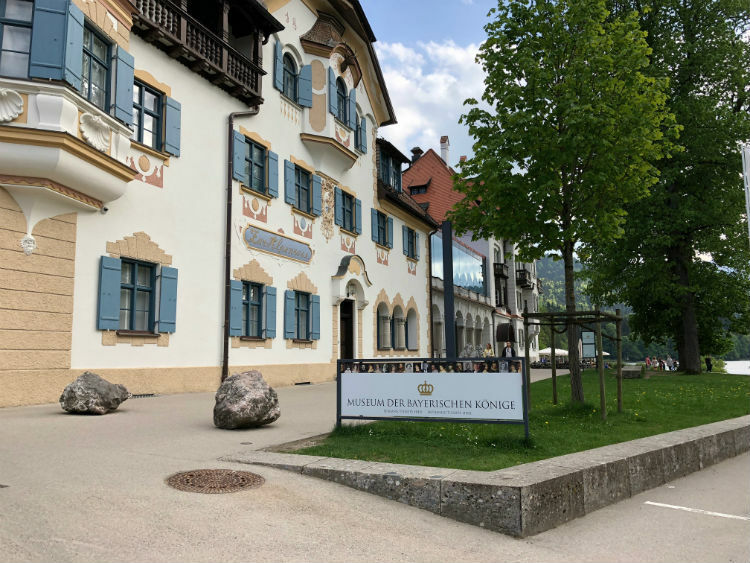 If you’re a history buff, I’m sure you want to visit the Museum of the Bavarian Kings as well. It’s located down in the Hohenschwangau village and can be included in a combination ticket. At this museum, you can learn more about the house of Wittelsbach, which is one of the oldest dynasties in Europe. Want to see more from Neuschwanstein Castle? Rick Steves visited a few years back and tells you more about it in the video below. Each season has its charm, so there’s never a bad time to visit Neuschwanstein Castle. However, autumn is popular among photographers due to the foliage colors. Summertime is high-season when most tourists visits and wintertime is the least visited time of the year. During winter, you can expect snowy landscapes and cold temperatures. During summer and autumn, you’ll most likely get a good view from Marienbrücke. 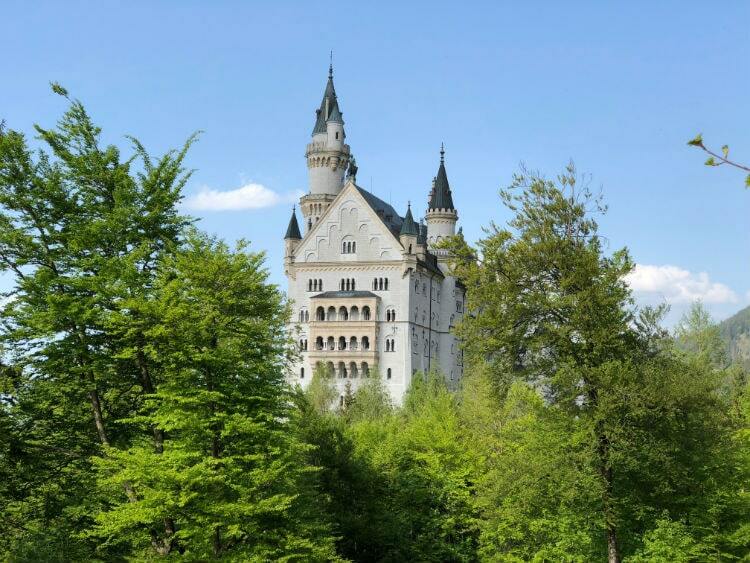 Spring might be the “worst” season to visit Neuschwanstein Castle, but it’s still beautiful. However, during spring it’s not uncommon with fog that could potentially block the view from the bridge. That happened to us when we visited at the end of April this year. Luckily we were able to go back 3 days later with better weather and a clear view. As you can see, it’s very beautiful in the winter as well. It’s a completely different landscape, and when the snow covers the ground, there’s a new version of this fairytale castle emerging! 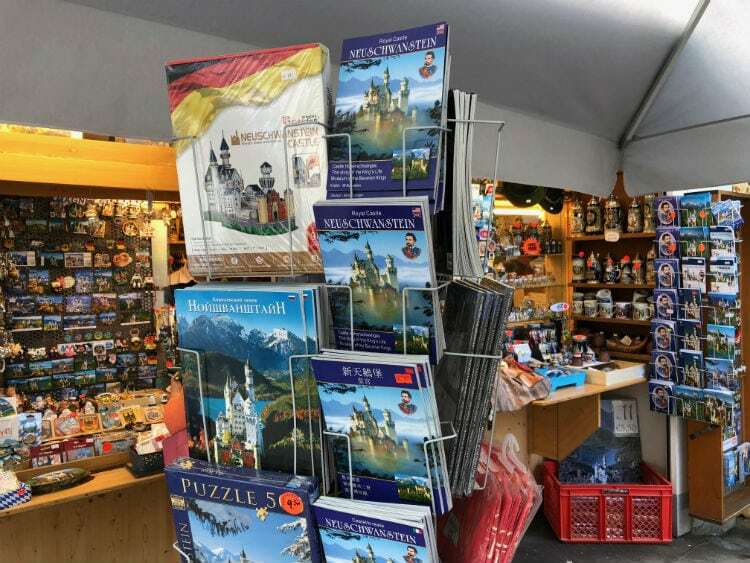 There are several souvenir shops where you can buy some classic Neuschwanstein souvenirs. The puzzles are an all-time classic, and you can also find some royal dinnerware, fridge magnets, mugs, and postcards. However, as I believe in minimalism, I suggest that you take lots of pictures instead of buying knick-knacks. Do you have more questions about Neuschwanstein Castle in Germany? Leave a comment below and I will be happy to answer from my own experience.